Lotus generally has a dismal race at Monaco, with especially Pastor Maldonado's race ending in disappointment early on in the race, despite having a good look on points. The Venezuelan had a problem with his brakes from lap one, resulting in an early retirement. “I had a problem with the brakes and I could feel the pedal pressure wasn’t right from very early on and that compromised our race from the off. It got worse and worse so we had to retire the car. ", Maldonado said. 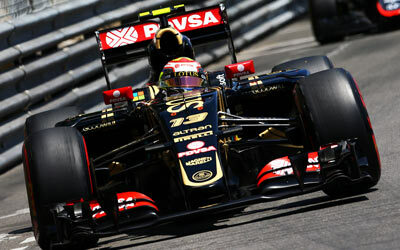 Still, having qualified well, Maldonado urges the team not to drop the ball and keep pushing. "It’s a shame for the team, we had a good car here, very good pace for the race and I think a strong strategy. There’s potential in the car, we just need to carry on, work hard, and look forward in the championship." The team's technical director, Nick Chester confirmed a strong points scoring position was taken away by the mechanical issue. "For Pastor it was a real shame as he was in a strong position with a quick car with seventh position looking like a strong probability. Unfortunately he suffered from what looks like was a hydraulic leak which meant we had to retire him. Despite less than positive results here, we could see good pace from the E23, meaning we’re quietly confident heading to the next races."